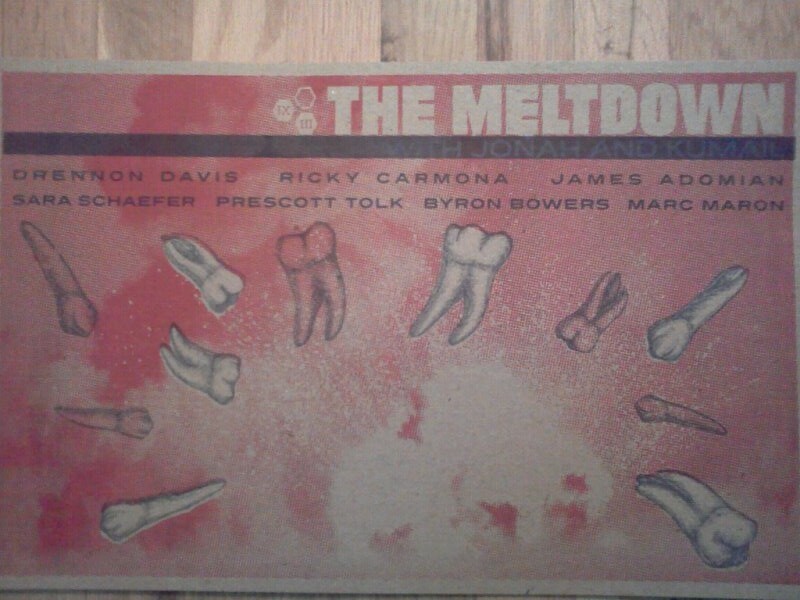 @Atrossity taken shots at @Meltdown_show!!!!!! Had a BLAST @Meltdown_Show with @Kumailn and @Jonahray. Also shout out to Dave KlocAbout @KmanWorldwide for the original art work. The line-up was great as you can tell from the artwork below.